I think my memory just vomited. 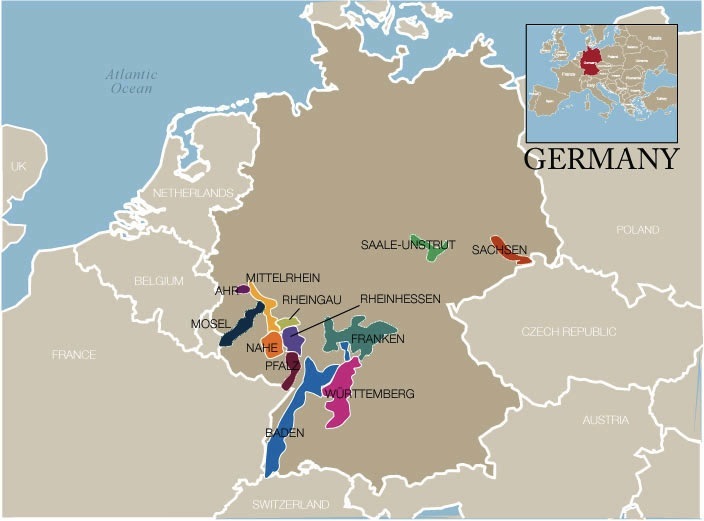 Yet Germany ranks third in the world for Pinot Noir acreage (30,000, just behind France and the US). The problem is, Germans drink most of it. 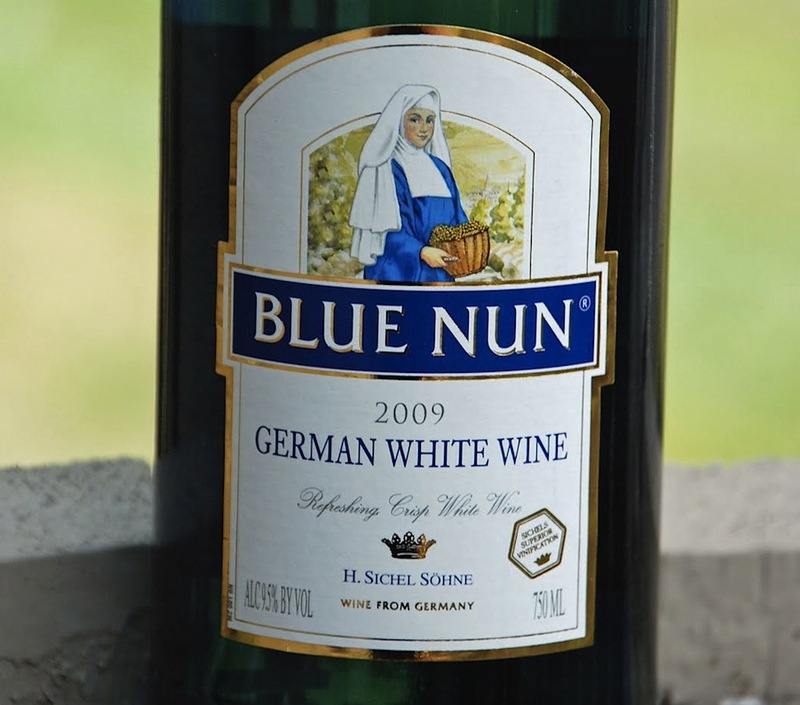 Meanwhile, they pulled the Blue Nun‘s veil of Riesling over our eyes. We could only assume that they made nothing but sweet yet tart whites. No more! 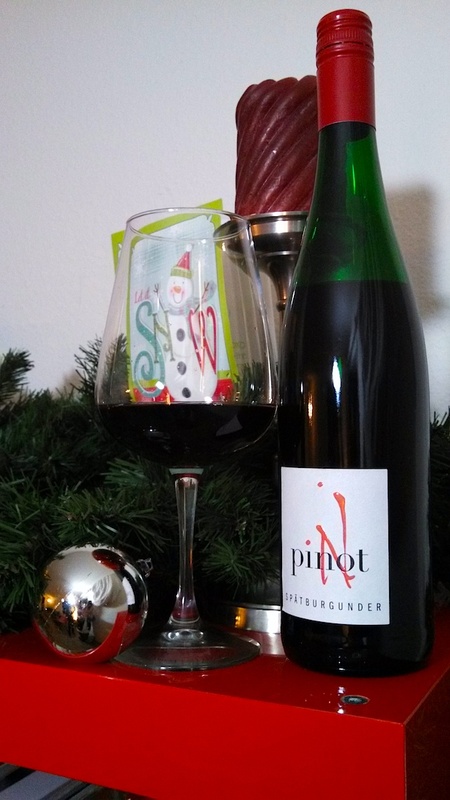 Treat you and yours this holiday with German Pinot. They call it Spätburgunder: probably thanks to its late ripening (Spät) and the medieval Cistercian monks who brought it from Burgundy. 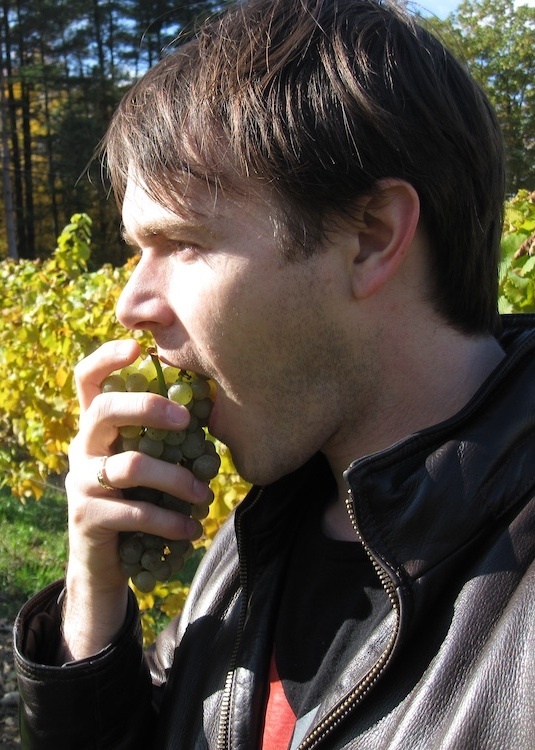 Yet Pinot struggled in this marginal, cool climate, often beneath Riesling’s limelight. 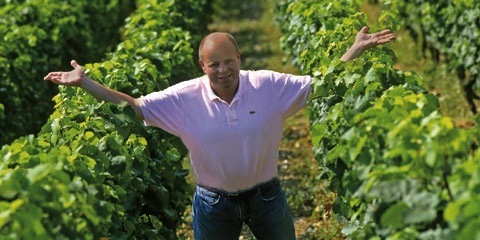 But in 1984, August Kesseler bought a ruined estate and Pinot vineyards. He had run his family winery since 1977, and interned all over the wine world. But 1984 marked Germany’s first, properly dry, oaked Pinots. Ever since, he has led Germany’s red revolution (no, not the DDR, just grapes). This valley literally extends North from Alsace in France. Like Alsace, it stays warm and dry enough here, thanks to the Vosges Mountains‘ rain shield. 35 year old vines dig into its rolling hills of chalk and marl in this cool, continental climate. Time to crack it’s screwcap. A black garnet core runs to a clear rim of brick. Twiggy legs dissappear quickly. Wild, perfumed, but delicate aromas remind us of cranberries, violet, mulled orange with notable clove, countered by browned butter and, well, funky blue cheese. It is dry, but that thought fades beneath soft, shimmering acids, mild tannins, buoyed by ripe alcohol and fruit. The body weighs in at medium and mellow. A warm scarf of flavors -so evenly and deceptively wound- stumps our palates. Pricked apart, we find tart red apple, black berried cassis, and orange peel. But then light cream and soft, buttery, shortbread cookies wash over the fruit (thanks to mlf and oak). We dig deeper and find salt and savory blue cheese at the mild, medium length finish. Kesseler’s “P Noir” is at first glance simple, easy, and pleasing. Yet spice and funk quietly emerge, forcing one to question everything. It is neither Burgundy, nor California, nor Oregon. For $15-19, this is very good (4 of 5) wine ready for drinking, or pairing with a variety of dishes. Wrap this eclectic scarf around a roast goose, or better yet, wild pheasant, or a cheese platter of odd but young and soft goat and sheep cheeses. 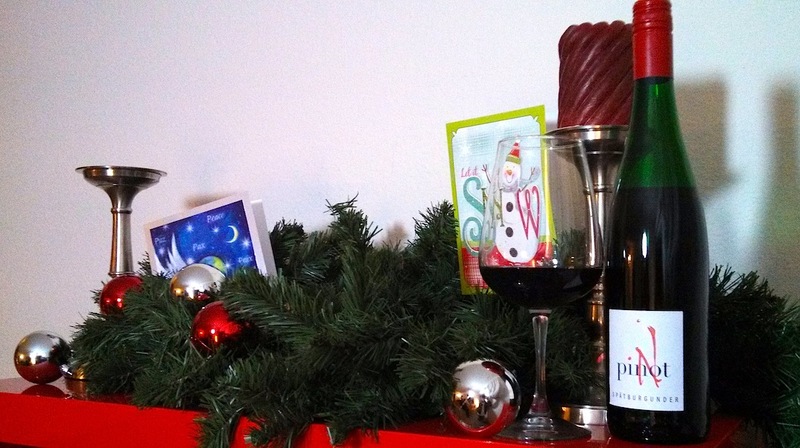 It may challenge but it won’t disappoint you and yours this holiday season. This entry was posted in Pinot Noir, Red and tagged Alsace, August Kesseler, Blue Nun, California, DDR, France, Germany, goat cheese, Kesseler, Oregon, pinot noir, riesling, Spätburgunder, Vosges Mountains, Wine Geek. Bookmark the permalink. Holy smokes, sounds like he hit all the right notes. In my experience, German Pinot Noirs are exactly where you put them, between Cali and Burgundy. Nice. I will have to look for a bottle of this wine, also insanely affordable!! Thanks for sharing!! It was surprisingly good, mainly because it was such a challenge yet so palatable. It’s unexpectedly complex, honestly strange stuff for the price.